With the Mirasvit Magento 2 performance monitoring module, you will not need to guess about the source of occurring issues since it automatically monitors configuration changes and developer modifications and tracks your website performance indicators. If the system identifies some negative impact on your store performance, you will get a notification right on the Magento Admin panel. 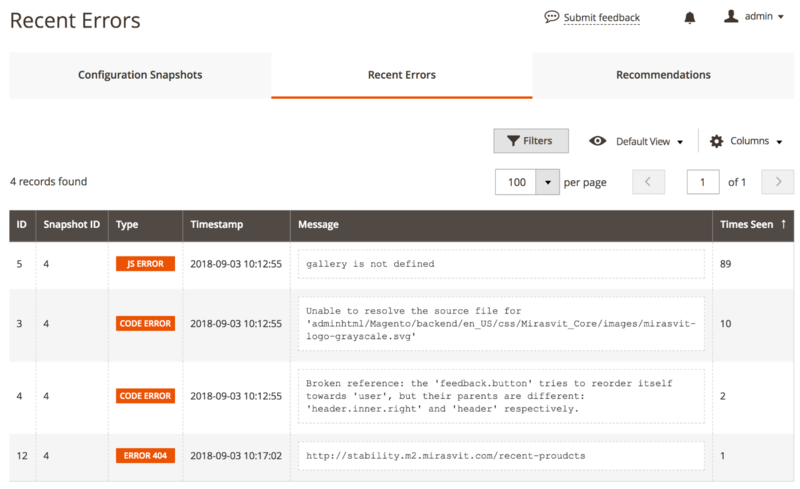 With the module’s functionality, you will also be able to analyze the time of your store pages generation. This way, you will understand how to optimize your store to prevent web pages from slowing down and improve its overall performance and will be able to fix issues as soon as they occur. The Mirasvit stability module for Magento 2 is a must-have add-on to websites that have plenty of third-party extensions installed and that don’t use special tools for monitoring source code, script, template, and other modifications. Below, we further explore the features of Health & Performance Monitoring Suite by Mirasvit. After installing the Health & Performance Monitoring Suite for Magento 2, you will get control over all changes happening on your website. The module automatically monitors changes in code and configuration, as well as modification of third-party extensions and plugins, their installation, and upgrade. The Magento 2 performance monitoring module also tracks changes in the cache and environment configuration, including PHP and MySQL versions, Magento root directory, and more. Furthermore, the Magento 2 stability suite extension helps store owners to keep track of cronjob errors and cache coverage rates. The full page cache coverage determines the number of pages returned from the cache to an end user. The coverage rate can be calculated as the percentage of returned cached pages per the number of page openings. In case the hit rate is too low, your website visitors will need to wait longer for a server response after a query, which might have an adverse effect on the user experience. That’s why it is important to track the page cache coverage indicator and strive for increasing the hit rate to 100%. 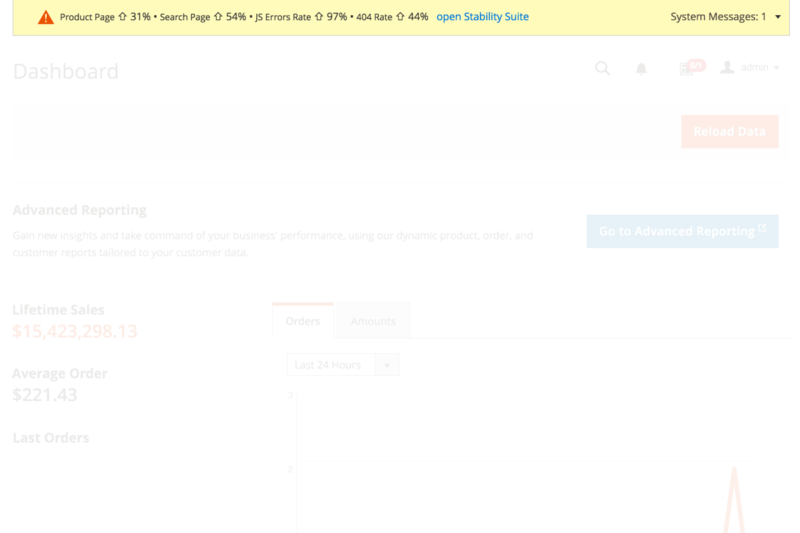 Health & Performance Monitoring Suite for Magento 2 not only tracks errors and other performance metrics but helps to identify their connection to changes that happened on your website, which will help you understand the source of occurring issues. When a modification is detected, the system creates a configuration snapshot. Then, it compares the average values of key performance indicators in the new configuration with the settings in a previous version of your Magento backend. In case of significant divergence from normal performance figures, the extension creates an admin notification. This way, developers and store owners can see the difference in performance indicators behavior in different configurations of a website. Below, we are showing how the backend interface of the Magento 2 health monitoring module looks and functions. As we’ve mentioned above, the Magento 2 Health & Performance Suite creates configuration snapshots in the admin panel. Admin users can view each snapshot’s unique ID, status (live or archived), and changes. As for Changes, here you can see page timing in seconds for each website page separately, as well as its increase or decrease in percent. The page also shows the page cache coverage and errors rate. If you scroll down the page, you can also check changes in the Magento environment, modules, events, and plugins. If the module identifies some negative impact of performed modifications on your website performance indicators or finds new errors, Magento admins will see a warning message in the admin panel. The grid supports sorting and filtering and allows saving grid views and display or hide specific columns. 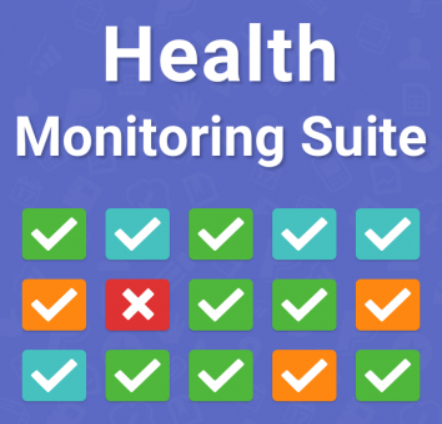 The Health Monitoring Suite interface also provides users with recommendations on website optimization and assigns status on each of them based on importance.